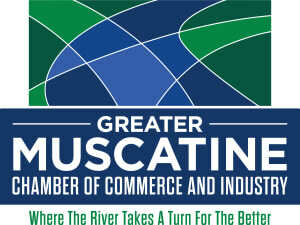 Located in East Central Iowa along the picturesque banks of the Mississippi, Muscatine is a city rich with history and a business sense. We are located just 15 miles south of the nation’s only East/West transcontinental interstate highway, Interstate 80, and astride U.S. 61, a major North/South route through the central United States. Muscatine is a city full of pleasant surprises. We are an easy half-day drive from Minneapolis/St. Paul, Omaha and Indianapolis, while being just hours from Des Moines and Chicago. Our location has given us strategic importance for over 150 years. Once the “Pearl Button Capital of the World,” Muscatine boasts a stable economic base that is appealing even to areas with many times our population. Moreover, our net of employment reaches out to communities on both sides of the Mississippi, making us a strong economic force in the Iowa/Illinois bi-state area.